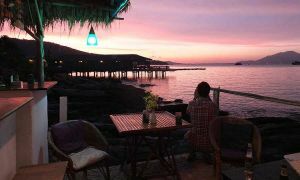 You can't miss the view at Sunrise Villas Resort. All our rooms have magnificent ocean scenes to the mainland - and with prices as low as 1200bt in high season, it's no wonder we're No 1 on TripAdvisor. 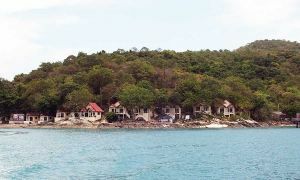 The resort is next to Nadan Pier along the north coast of Koh Samed. 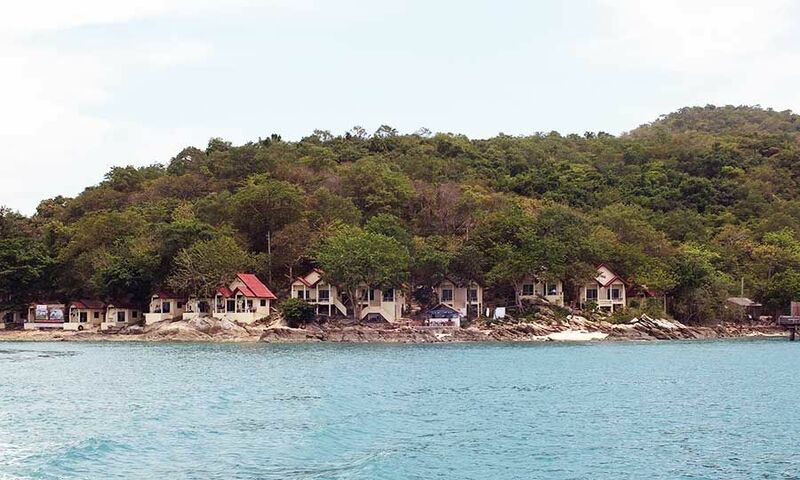 Our smartly furnished, air-conditioned rooms are all fitted with wardrobes, fridges and mini-safes, with tiled flooring and a private veranda that overlooks the water, gently lapping onto the rocky shore. All villas have en-suite wetrooms with shower and toilet facilities. The resort offers free Wi-Fi to access the internet, a 3G back-up system, a local laundry service and has barbecue equipment which guests can use to cook their own food. You can even try catching your supper by fishing from the rocks in front of the bar. We'll lend you a rod to try your luck. 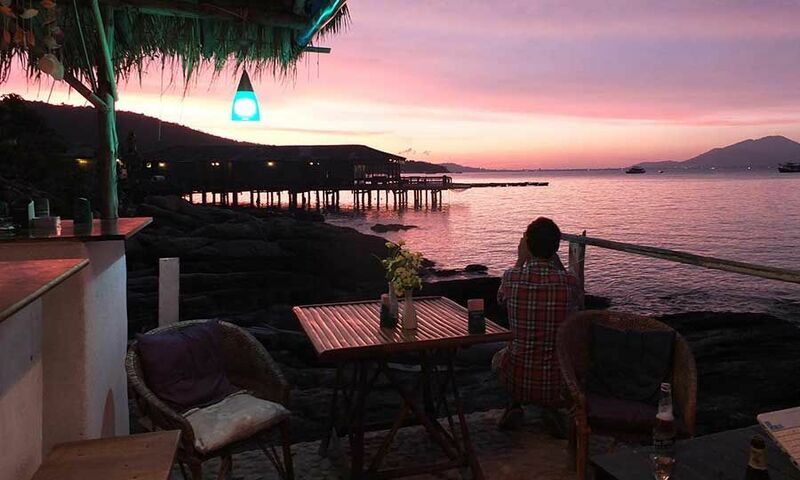 Sunsets on Koh Samed can be spectacular and are a great photo opportunity. The Sunrise Villas bar at the water's edge is one of the best places to watch the sun go down. With a clear view to the west, you can relax with an ice-cold beer or cocktail at the end of a tiring day of indulgence.